Alomone Labs is pleased to offer a new line of its well-characterized antibodies directly conjugated to a new generation of specially developed, bright fluorescent dyes by ATTO-TEC. 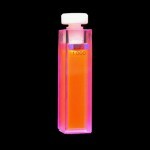 ATTO dyes are well known in the field of fluorescent technology and are characterized by strong absorption (high extinction coefficient), high fluorescent quantum yield, and high photo-stability. ATTO dyes are analogous to the established Alexa dyes and were found to be comparable to any fluorescent technology in the market. Alomone Labs is currently offering primary antibodies directly conjugated to the following ATTO dyes: ATTO-488 (green), ATTO-550 (orange) and ATTO-594 (red). The conjugation of our antibodies to these dyes enables you, the end user, to perform various experiments in a timely manner. In addition, we put great effort in conjugating our extracellular directed antibodies to these dyes as they allow you to perform experiments in live cells. The proven quality of Alomone labs’ antibodies together with the bright ATTO dyes generate an invaluable tool that undergoes careful quality control and is specially suited for applications that require simultaneous labeling of different markers. ATTO-488. Maximum absorption 501 nm; maximum fluorescence 523 nm. The fluorescence is excited most efficiently in the 480 – 515 nm range. This label is analogous to the well known dye fluorescein isothiocyanate (FITC) and can be used with filters typically used to detect FITC. ATTO-550. Maximum absorption 554 nm; maximum fluorescence 576 nm. The fluorescence is excited most efficiently in the 540 – 565 nm range. This label is related to the well known dye Rhodamine 6G and can be used with filters typically used to detect Rhodamine. ATTO-594. Maximum absorption 601 nm; Maximum fluorescence 627 nm. The fluorescence is excited most efficiently in the 580 – 615 nm range. This label belongs to the class of Rhodamine dyes and can be used with fluorescent equipment typically optimized to detect Texas Red and Alexa-594. ATTO-633 belongs to a new generation of fluorescent labels for the red spectral region. Characteristic features of the label are strong absorption, high fluorescence quantum yield, and high thermal and photo-stability. The label is moderately hydrophilic. 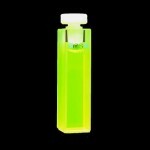 Its fluorescence is excited most efficiently in the range 610 – 645 nm. 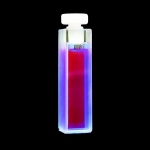 This dye is highly suitable for direct flow cytometry (FACS) using the He:Ne laser.